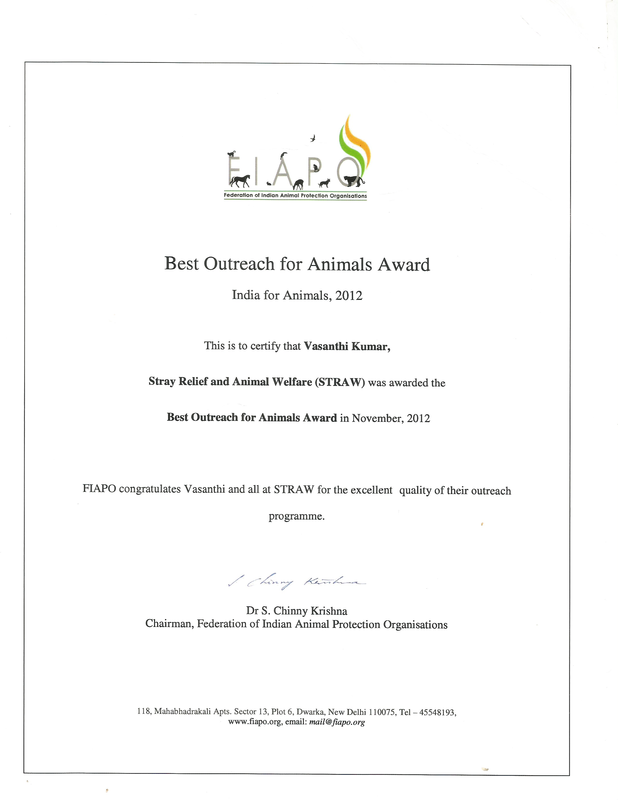 STRAW (Stray Relief and Animal Welfare) was founded by Vasanthi and Dinesh. As a husband and wife team, they have worked together on a number of projects, both personal and professional and STRAW is a passion that is closest to their hearts. As management graduates, both Vasanthi and Dinesh have held senior positions in the corporate world. All that while, they have been associated with a number of charity organizations that extend help to destitute children, the old, the blind and the weary animals. However, when it came to setting up their own charity and when a choice had to be made, caring for those that were least cared for in this world, that is the voiceless animals, took precedence and STRAW was born. She was introduced to the world of dogs when a friend decided to leave his Pomeranian dog under her care when he had to leave the city and ever since, she has always had a dog at her home. However, it was "Puppia", an abandoned Pomeranian dog that she rescued from the streets of New Delhi that changed her life. From a dog with maggot wounds and matted hair, Puppia turned into a handsome dog who loved life for the next one and a half years. Unfortunately, his sudden blindness due to Glaucoma, followed by heart attack and death in the next two days was heart rending. This incident changed her outlook towards all the strays on the street and animals at large and took a sharp defining turn towards shaping STRAW's priorities & programs and provided the requisite persistence to pursue them. 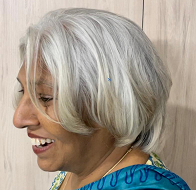 With masters' degrees in Economics and Management, Vasanthi has always believed that Education is the key to bring about any kind of a change in the society. This core belief has led to STRAW’s complete focus on humane education. Humane education initiatives particularly those which have a multiplier effect, has been her personal favorite. One such initiative includes her contributing content relating to humane education for schools textbooks and teachers' manuals brought out by the Central Board of Secondary Education (CBSE), National Council for Education Research and Training (NCERT), Government of India and many State Educational Boards. 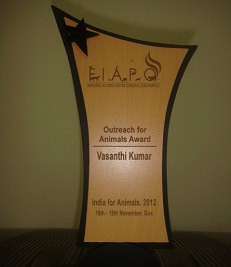 Besides being the chief functionary and supervisor of all the projects at STRAW, Vasanthi has served as a Board Member of the Federation of Indian Animal Protectors' Organization, New Delhi, INDIA (FIAPO) who conferred on her the "Outreach for Animals" Award in November 2012. Having grown up in a small town in Rajasthan, Dinesh has seen many people living in complete harmony with animals and birds that stroll and swoop in and around their homes. Birds were fed grains during the rains and stray cows would drop by for a 'chapathi' (Indian bread) or two in the mornings and of course, the dogs were always there to help with the leftovers. He has had dogs, cats, rabbits and parrots as pets. As a child, when he saw a goat being sacrificed at a nearby temple, he was completely shaken, saddened and sensitized for life. Ever since, he has defended creatures that cannot defend themselves from human onslaught. His passion for wellness for all creatures is expressed through STRAW's initiatives. Having graduated from India's premier institutes, The Indian Institute of Technology, New Delhi and The Indian Institute of Management, Bangalore, Dinesh is an important member of our Think-Tank. He provides inputs to strategy; programs execution plans and helps with the technology to support these. Hareram is a Project Director at a software company. He thinks like a nerd and is the person behind the robustness of STRAW’s website which has been built on a bootstrap framework, making it not only mobile friendly but device friendly. In today’s times when it is imperative for an organization to be technology savvy, STRAW depends on him for all its technology needs. Upon witnessing an animal sacrifice at a temple in childhood, he turned a vegetarian and continues to be one by choice. Having contributed to STRAW in many ways, Hareram Yadav has a natural attraction to be a part of STRAW.